In just five months using OutSystems, Charles River Laboratories develops Internet Colony Management (ICM™) - a custom web and mobile application that automates their business and extends it to mobile, providing their customers with a revolutionary, real-time view into ongoing projects. After evaluating multiple vendors and with no out-of-the-box solution available, Charles River selected OutSystems for its ability to rapidly and easily build, deploy and change custom enterprise-class software for web and mobile devices. Managing specialized models and colonies for biomedical research is an incredibly complex process that generates massive amounts of data. For over 20 years, the Genetically Engineered Models and Services (GEMS) group at Charles River used a manual business process, spread across eight sites and six countries. The large volumes of data generated from breeding, separating, categorizing and handling models were stored on paper in high-density, offsite storage facilities. While refined, a manual process of this scale resulted in higher labor costs and the threat of inefficiency. Furthermore, access to this data was not as instantaneous as customers may have wanted. Hoping to build on their success in the market plus add value to their customers, Charles River set out to create a custom web and mobile application that automated their complex business processes and extended visibility immediately to their customers. Searching for a truly flexible solution to meet their business needs, Charles River evaluated 20 different packages, conducted two POCs, and interviewed multiple contractors and vendors. Ultimately, Charles River chose OutSystems because it delivers flexibility and ease-of-use in building, testing, deploying, and changing versions quickly. 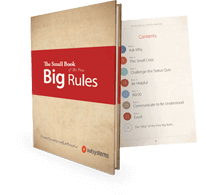 OutSystems allowed Charles River to innovate - creating the exact web and mobile application they wanted. In only five months, Internet Colony Management (ICM™) was live. ICM™ is a dynamic system that handles most aspects of Charles River’s GEMS business processes – from project management, to model handling, to client portals. Beyond inventory, ICM™ offers deep access to data, providing clients, technicians and project managers real-time status updates. Each group has custom portals that provide real-time information. This solution is a technologically advanced system with state-of-the-art peripherals that include tablet interfaces, voice commands, voice prompting, keypad interaction, and RFID usage that was tailored specifically for technicians working in laboratories. ICM™ has allowed Charles River to differentiate itself with a revolutionary, custom-designed software solution that has had tangible ROI - an increase of new opportunities for new and existing customers. The first and most important result was seen in terms of improvements in data integrity and quality of the information offered to clients. During the first six months of operation, since the manual labor required to collect and validate data was completely built into the solution, support labor was reduced by 100 percent and tech labor by 10 percent. As a side effect of not using paper, there was a significant reduction in paper related supplies and storage. With regards to ROI, there was an increase in sales coming from this new and disruptive service that completely revolutionized the industry. The ICM™ solution is an automated workflow platform for managing research models and colonies - from the placement of a customer’s project, to the work orders initiated by a Charles River project manager, to the technician actually working hands-on with the colony. 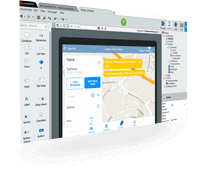 OutSystems ties mobile technologies together, enabling solution processes to run on a flexible, web-enabled front-end. Charles River is able to use tablets as mobile computing solutions for technicians and RFID tags and scanners for location tracking of research models and colonies. The system provides a simple user interface that allows technicians to collect data efficiently and accurately as well as to carry out actions planned by project managers. ICM™ improves data integrity by simplifying data entry, while still capturing thousands of data points every time a technician works within a client’s colony. This leads to increased efficiencies, which allow the staff to provide the highest quality service to clients. ICM’s™ mobile technologies and web-based applications free technicians from the physical constraints of data entry at centralized locations. 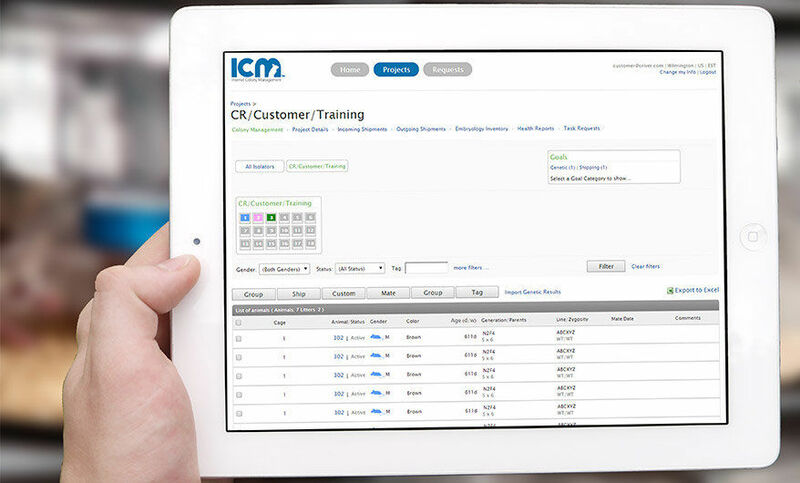 ICM™ provides a user-friendly interface that facilitates real-time collaboration between project managers and Charles River customers - a huge plus in keeping customers engaged. ICM™ unifies Charles River’s business on a global scale. With operations on several continents that face different regulatory, linguistic and cultural challenges, ICM™ provides a single, centralized view of all operations and allows executive leadership to implement best practices based on data trends seen on a global basis. OutSystems provides the speed, flexibility and scalability to expand and contract the project as needed with minimal impact on existing operations. The Washington State-based fruit growing, packing, and shipping company built several mobile apps that take advantage of its data to optimize its field and warehouse processes.